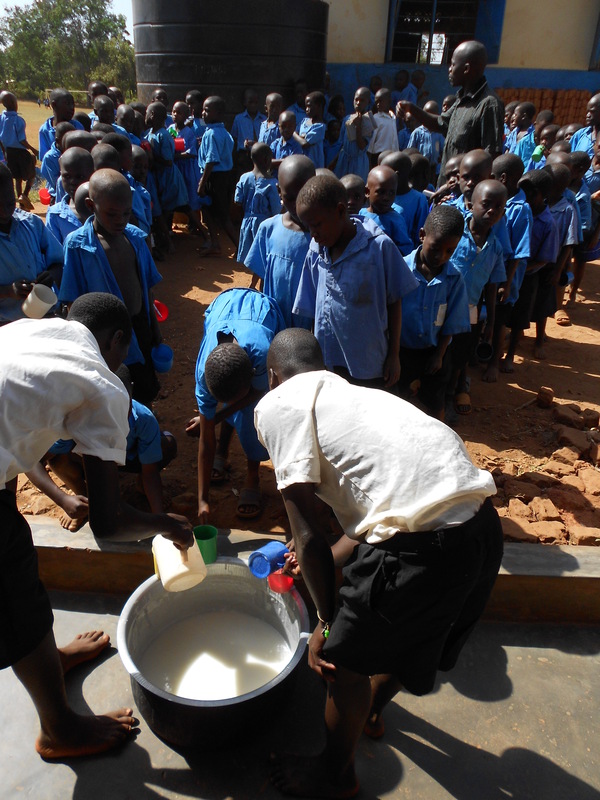 all 1,200 pupils plus the staff of Kyabirwa Primary gathered outside in the Equatorial sunshine, for a Special Assembly to thank God and you champions for porridge. We are sorted until 30th September, 2015 thanks to recent donations. One more month of this year (the academic year completes at the end of November) to go, and then we will have fed the children for 8 years!! YIPEE. If YOU have ideas for fundraising we would love to hear from you.